Speyfruit’s fresh produce is well known in the region and we are very proud that many of our original customers are still trading with us. The customer loyalty is due to the determination of the family owner with our ‘no quibble’ guarantee on consistency and freshness of our produce. We offer a daily delivery service throughout Moray and have no minimum order size. As you will see on our ” New ” product range page we have extended our portfolio of products to meet the demands of the hotel and catering trade. 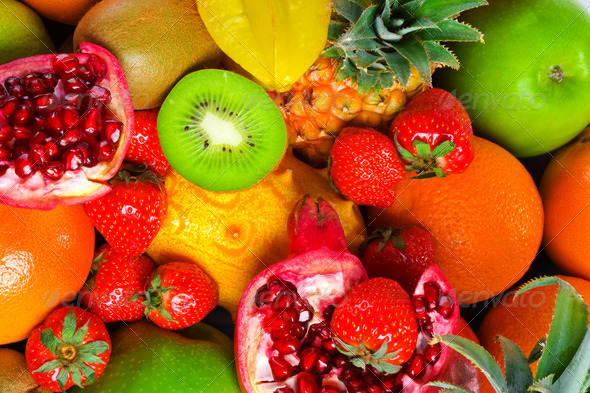 Speyfruit is the largest producer of fruit and vegetables in the North of Scotland. 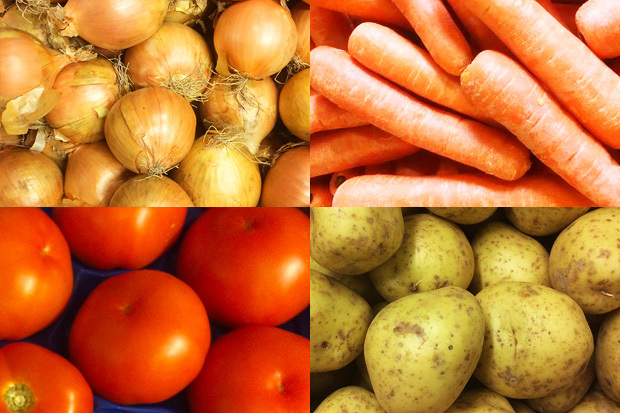 We offer a bespoke service with all produce processed to specific customer requirements, peeling, coring, slicing, dicing and shredding to various cut dimensions. Our food processing facility has the state of the art machinery that can produce up to two tons per hour while adhering to strict food standard requirements. 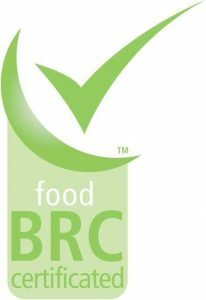 We are rightly proud that we have maintained the British Retail Consortium Accreditation (BRC) for many years now. 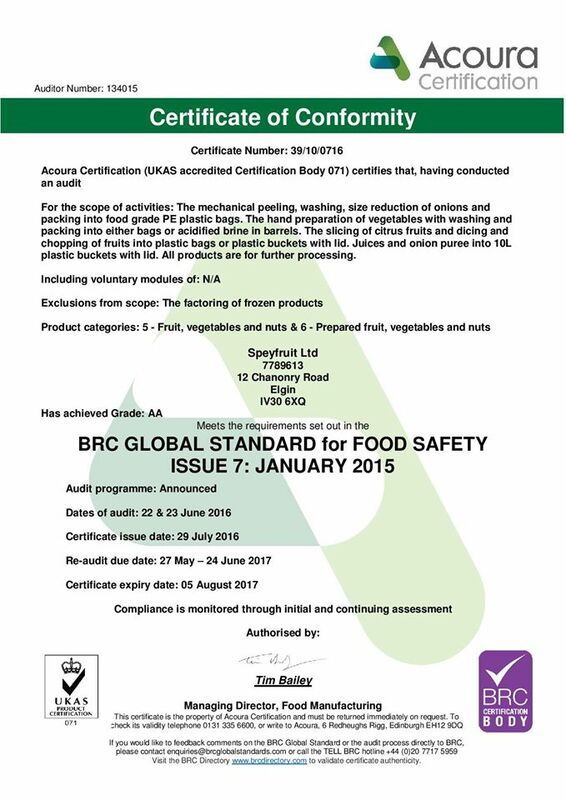 Our staff receive regular training in current food safety and hygiene processes and they are our key to our success in a fast changing competitive market.